As the days creep closer to Halloween, are you ready to host a petrifying party? Are you ready for all those little ghouls and goblins to come knocking at your door? We want to make sure that your eerie event is weird and wonderful, so we’ve put together a few tips and tricks that are sure to help you have a whole lot of fun. Set a spooky stage with our great selection of linens. Let your Halloween decorations stand out when displayed on top of coordinated tablecloths, table runners, and cloth napkins. With help from our friendly staff, you can easily set the perfect Halloween-themed table that expresses your style and budget. 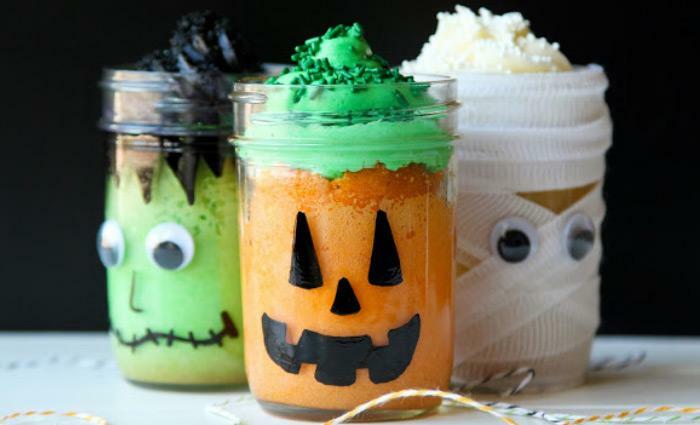 Halloween offers a great opportunity to use mason jars in creepy, creative ways. 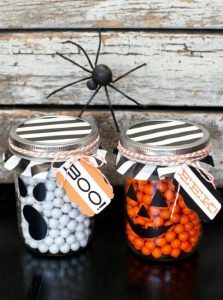 They are a wicked way to store a variety of sweet treats, like candy corn, gummy worms, and jelly beans, or savory snacks like roasted pumpkin seeds, mini pretzels, and spiced nuts. They are also a fun way to serve up some Slime-Ade to your little guests, keep your paper straws in one place, and use as decorations in simple, fun ways—like ghost traps or spider lights found here. Take a walk on the dark side and serve up some devilish drink options that are sure to please any crowd. Our slushy machine is a great place to start. It’s an easy way to serve large groups and can be either adult or kid-friendly, plus it’s a whole lot of fun. Click here for some slushy machine tips that we shared back in the summer. dose of mystery and suspense. 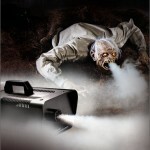 If you’re looking to celebrate the quieter side of Halloween, how about hosting a monster movie night with our projector and large screen? If you’re having a group of friends and family, we even have popcorn and hot dog machines for a full movie theatre experience. And don’t forget that we rent a great selection of dishware, glassware, and cutlery when you don’t have enough to go around. Plus, we do all the dishes for you! Why choose Relay Event Rentals? Whether you’re doling out spooky sweets or hosting a shocking soiree, we can help you with all your Halloween needs. We have a spooktacular selection of event rentals, novelty items, and creative decorations to choose from. Give us a call at 250-871-4646, or email info@relayevents.ca to get the party started. Or, if you prefer, stop by our showroom at 2-1255 McPhee Avenue in Courtenay, where you’ll always find our friendly, experienced team happy to help. Click here for directions and showroom hours. One Google Review Gets You a Chance to Win BIG!! !